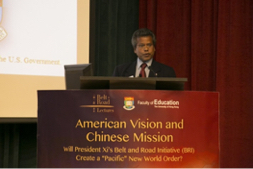 Hong Kong (Oct. 17, 2017) — Sino-American policy expert Patrick Mendis, Ph.D., recently addressed the inaugural Belt & Road Lecture at the Faculty of Education in the Hong Kong University. The public lecture was titled “American Vision and Chinese Mission: Will President Xi’s Belt and Road Initiative Create a ‘Pacific’ New World Order?” The Belt & Road lecture series is supported by the Hong Kong Special Administrative Government under the University Grants Commission. 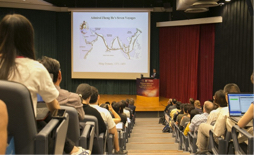 In his lecture Mendis explored the less-known Confucian influence on the enduring American foundation for a deeper understanding of the evolving Sino-American relationship and its challenges for Hong Kong and the world. In the age of President Donald Trump’s “Make America Great Again” nationalistic policies, Mendis, a Harvard alumnus and an American sinologist, said the founding vision of the United States was to be a global nation. He added that President Xi is using a similar but commercial vision in the “Chinese mission” in the world. “The Chinese culture and Confucian philosophy inspired the founding fathers of the United States of America,” said Mendis in comparing the two countries. Mendis said, quoting Benjamin Franklin, that the Chinese are regarded as an ancient and highly civilized nation. On the Chinese sage, Franklin also wrote about the relevance of Chinese civilization in American progress, saying that what Confucius proposed to the princes for moral governance, this Confucian model would also apply to the United States is developing a “happy and flourishing empire,” he said. Thomas Jefferson, another founding father and the third president, envisioned that the new republic would keep “honest friendship with all nations and entangling alliances with none,” Mendis said. Over the years, this founding vision has gradually changed, the professor explained. With the Belt and Road Initiative, China intends to rejuvenate its Confucian culture and the commercial glory of ancient Silk Road civilization, he said. Mendis is the author of Peaceful War: How the Chinese Dream and American Destiny Create a Pacific New World Order. The book is now published in Mandarin Chinese in Beijing. 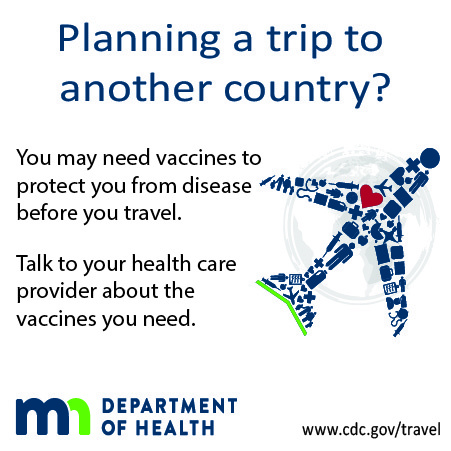 Mendis is a former Rajawali senior fellow at the Ash Center for Democratic Governance and Innovation of the John F. Kennedy School of Government at Harvard University. He is currently an associate-in-research of the Fairbank Center for Chinese Studies at Harvard University. Mendis is an alumnus of the University of Minnesota’s Hubert H. Humphrey School of Public Affairs and the John F. Kennedy School of Government at Harvard University. He has lectured at more than 25 Chinese universities, visited all the provinces of China, and traveled to every state in the US as well as 126 countries. Mendis also served as an American diplomat and was a military professor through the University of Maryland who taught MBA/MPA and International Relations courses to American civil servants and defense forces in the NATO and Pacific Commands of the U.S. Department of Defense.